An innovative social care and housing provider has implemented a state-of-the-art fire alarm system at its developments that will improve safety and reduce false alarms thus improving the peace of mind of tenants. WINMAG software, installed by Bield Response 24 (BR24), allows fire alarm systems within Bield developments to be remotely managed by BR24’s Alarm Receiving Centre (ARC). This remote system connects fire alarm calls faster and can identify faults and false alarm incidents reducing requests for attendance to Scottish Fire & Rescue (SF&R). Most grouped housing fire detection systems only identify the address but not the internal location details such as the manual call point in a communal area or a smoke detector in an actual flat. This state-of-the-art system being used by Bield provides a detailed view of the entire system allowing BR24 to give precise location details within the development when placing a 999 call, thereby minimising search time delays. Sharon Ewen, Manager of BR24 explained: “We originally consulted with experts from Rapid Fire Services who recommended the system. They have since helped us fully integrate this into 72 of our grouped housing developments. “Using a unique IP address that enables digital communication through to BR24 providing a smarter than most system that can report the location of a fire far more accurately and quickly than ever before. Warden call system devices installed in the tenant’s home and the use of smoke and heat sensors linked to the fire detection system connects to BR24 from each tenants home. This allows the Emergency Call Advisors at BR24 to engage in dialogue with the tenant when the alarm is activated to ascertain the reason behind the alarm call. They then have 60 seconds through discussion with the tenant on whether the Fire Service is required or not. If a call is closed without SF&R call out and it represents to BR24, an immediate call will be placed to 999. Following an investigation into the number of false alarms at housing developments, SF&R announced in March 2015 that it would no longer silence or reset fire alarm systems after a call out to grouped housing developments, as doing so wiped any data that could provide reasons why it was erroneously asked to attend. While Bield understood the reasons for this decision it did have a detrimental financial impact as engineer call out rates to reset the systems can cost up to £200 at a time. However, Scotland’s leading care provider has managed to kill two birds with one stone as the WINMAG system, which is developed by Gent by Honeywell, will help to identify false alarms as well as enable remote resetting of fire panels from the BR24 ARC. 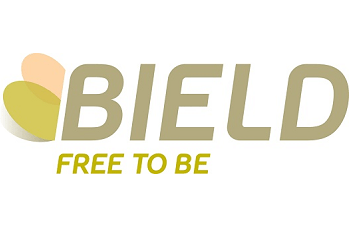 This money saving solution will help Bield to invest its money elsewhere to enhance and enrich the lives of tenants. Sharon added: “Manual call points or smoke detectors can also be silenced whilst awaiting attendance, which is great as it reduces anxiety levels of tenants within the housing development. “This poses no threat to system functionality if smoke is detected from another device so the system really is taking fire safety to a whole new level. The system also has a powerful reporting tool that can be used in conjunction with our call handling reports to signpost those most vulnerable to SF&R. BR24, based in Glasgow, is managed by Bield Housing & Care, Scotland’s leading social care and housing provider, which prides itself on being an innovator in the social care sector believing technology plays a vital role in this. It has become one of the first facilities of its kind to provide the innovative alarm receiving system.